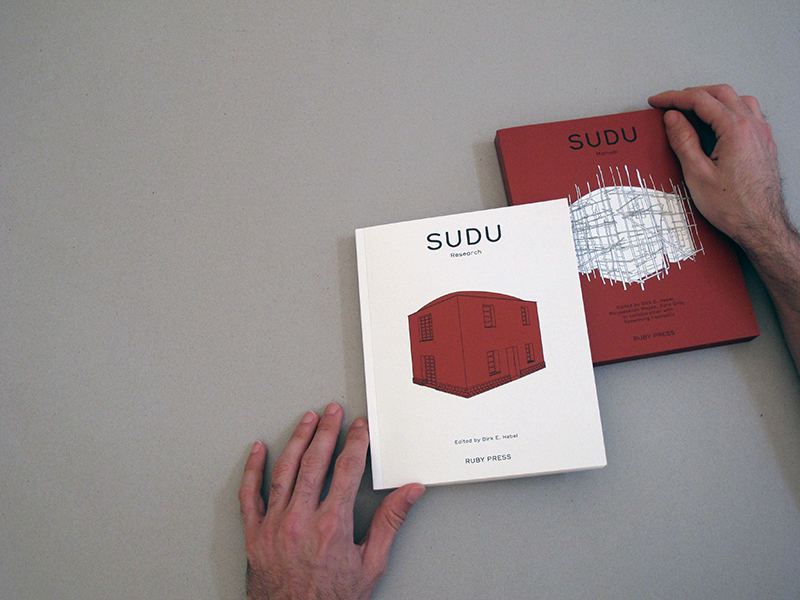 SUDU—the Sustainable Urban Dwelling Unit—is a full-scale prototype for an affordable two-story house built with local materials and traditional building techniques in Ethiopia’s capital, Addis Ababa. 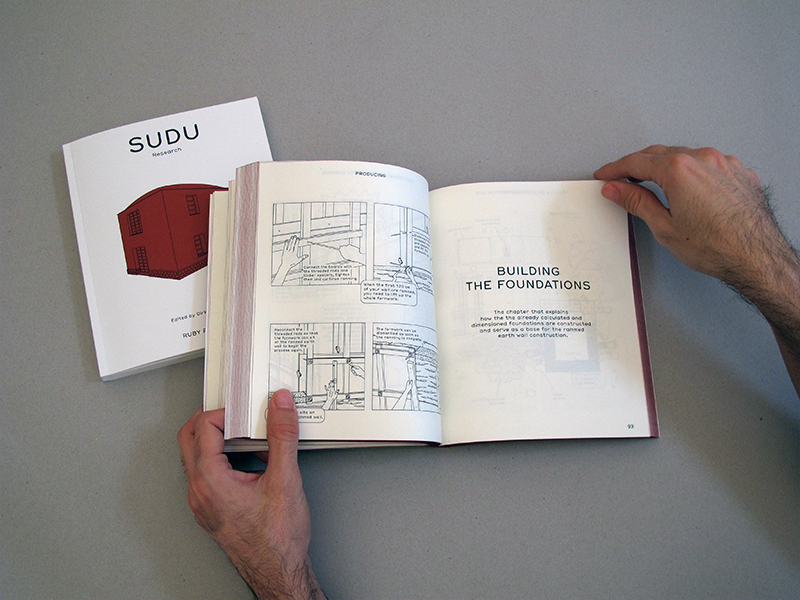 Developed in a collaborative endeavor between the Ethiopian Institute of Architecture, Building Construction and City Development and ETH Zurich, SUDU ties in with the rich tradition of loam construction while at the same time taking a fresh look at how to adapt this tradition to contemporary needs. 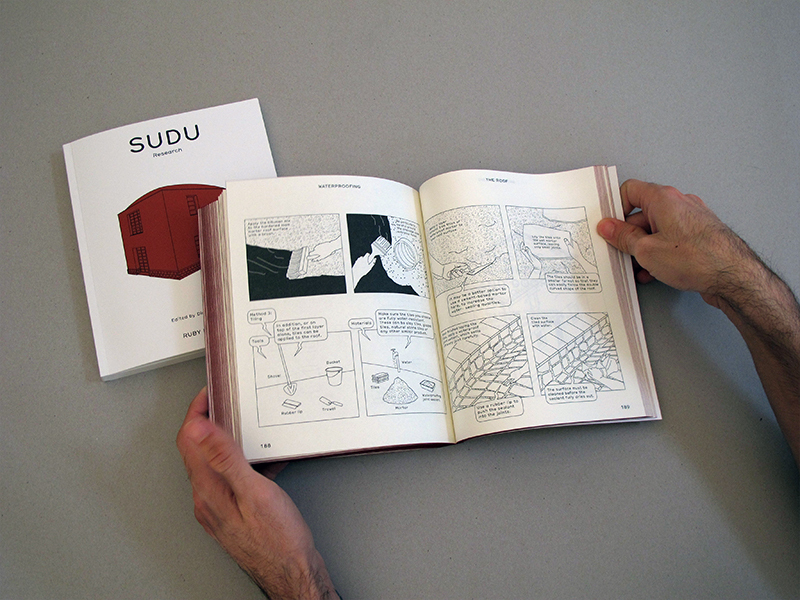 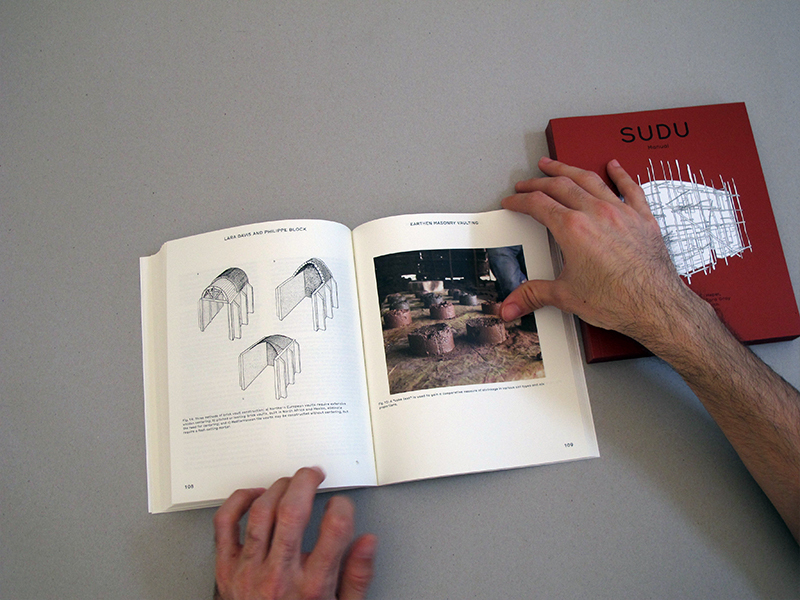 Recapitulating SUDU‘s idiosyncratic construction process in two lavishly illustrated volumes, this publication details the building techniques employes, such as rammed earth, mud bricks, and timbrel vaulting. 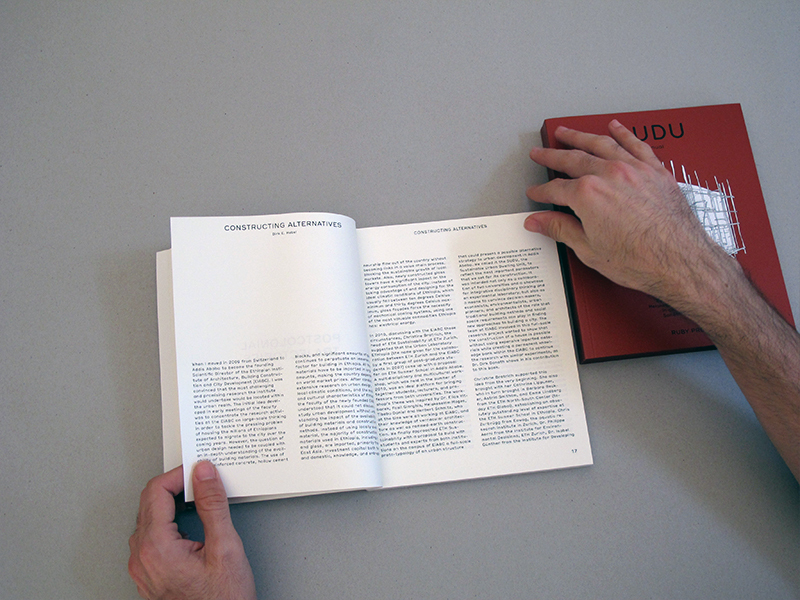 The first volume additionally explores the history of Ethiopian architecture, the postcolonial nature of its current construction industry, and the challenges of the country’s rapid urbanization. 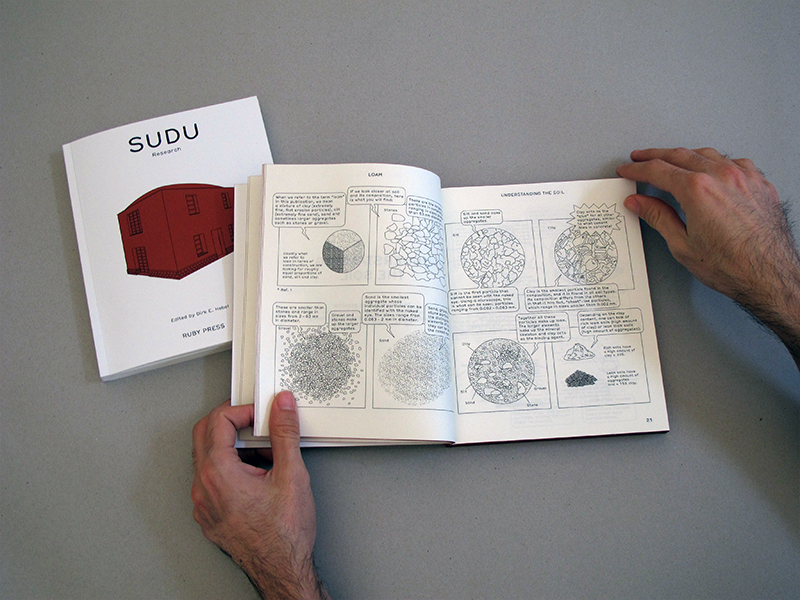 The second volume, a manual with more than 600 detailed drawings and instructions, demonstrates how to build a house, step-by-step, with the most readily available building material—earth. 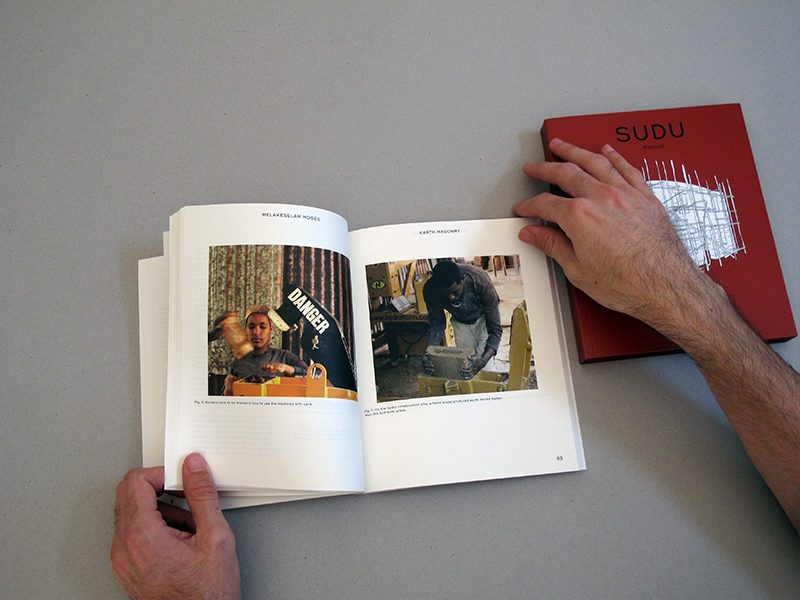 Tags: ETH Zurich, Ethiopia, Ruby Press, SUDU, Sustainable Urban Dwelling Unit.